Case Management research papers examine the role of a case manager in healthcare today. 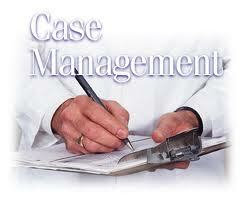 This is a topic suggestion on Case Management from Paper Masters. Use this topic or have Paper masters custom write your research paper, written exactly how you need it to be. When one considers the efficacy by which most hospitals and healthcare facilities operate, few realize the difficulties associated with balancing the quality of care with the cost constrains of managed care and other private insurance providers. While it is true that healthcare providers have taken a number of steps to ensure that quality healthcare stands at the epicenter of treatment, the reality is that cost constraints have significantly crippled this initiative. Despite over-burgeoning problems associated with cost effective healthcare delivery, some individuals have stepped forward to ensure that patients receive reasonable care in a cost effective environment. These individuals, known as case managers, are setting a precedent for how hospitals and healthcare facilities can meet the needs of their patients while still adhering to the specific stipulations of managed care insurers. Even though case management and case managers have been part of the healthcare system for more than 20 years now, in many cases the services provided by these individuals has been granted on an informal basis. However, in the last five years, case management has become an accepted specialty in hospital administration and individuals charged with this role are expected to be well trained and adept at balancing the issues associated with patient care and cost efficiency. Defining the role of the case manager, one research paper from Paper Masters notes that case management is “a collaborative process that assesses, plans, implements, coordinates, monitors and evaluates the options and service required to meet an individual’s health needs, using communication and available resources to promote quality and cost effective outcomes”. Furthering this definition, a case management research paper goes on to note that case managers serve as both clinical and financial gatekeepers to patient care. Because the process reduces the traditional autonomy of physicians and other decision makers in the treatment process, it can be difficult to achieve the requisite level of consensus for implementation of a clinical pathway protocol. In addition, the clinical pathway is generally suitable for conditions that are well defined with established treatment protocols, such as knee replacement, for which a single treatment process can be developed and which would have a significant monetary or outcome impact if improved. However, just because barriers exist, it does not mean that case management with strict care guidelines cannot be implemented. This is an excellent area for further exploration in your research paper on case management. Healthcare Financing research papers discuss what approach a student should take on when researching healthcare financing. Children's Health Insurance Research Papers - Children's Health Insurance term papers on the program is a federally funded extension of Medicaid for children. Paper Masters writes custom research papers on Case Management and examine the role of a case manager in healthcare today.